Since the beginning of 2018, prices of nickel have soared. This is largely due to the increasing global demand for electric vehicles. Prices are expected to rise to nearly 125,000 yuan/mt by the end of this year. On Friday, June 1st, prices jumped to 120,000 yuan/mt in the Shanghai Futures Exchange (SHFE). This portrayed an increase of 2,350 yuan/mt from the previous day's prices. 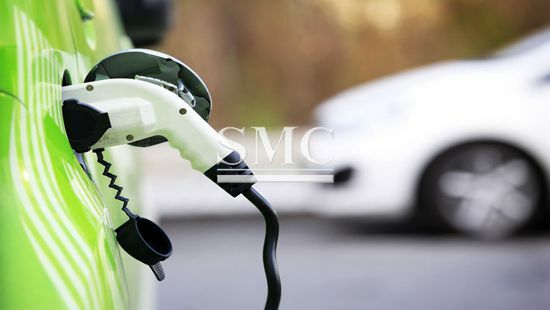 Nickel Sulphate consumption continues to rise as the electric vehicle market has turned favorably to the new NMC 811 battery. NMC (nickel manganese cobalt) 811 has a higher energy density and is much cheaper than its lithium-ion counterparts. Nickel Sulphate accounts for nearly 80% of the cathodes in NMC 811, yet chemists are looking to further increase nickel content in EV batteries in order to fight the highly priced cobalt. Nickel is an excellent electrical conductor and is incredibly resistant to corrosion, making it the industry's choice when it comes to EV battery production. Domestic output of NMC 811 batteries is expected to reach 125,000 mt this year in China. To give you a better idea of the level of consumption posed by China's domestic EV market: 77% of the 320,000 mt of last year's nickel sulphate consumption in China went straight to China's EV market. That number is only set to increase as several cities around China have made plans to electrify their public transportation fleets as well as increase urban capacities to accommodate larger numbers of electric vehicles. Other factors that have further driven nickel prices include low inventories across SHFE and LME (London Metal Exchange) warehouses and tougher environmental restrictions imposed by the government in order to improve overall air quality. Ferronickel plants, especially those around Shandong and Inner Mongolia, have faced output restrictions or outright suspensions as this year's SCO (Shanghai Cooperation Organization) Summit will take place in nearby Qingdao. This lowered output of ferronickel will also see the stainless steel high season through August. Nickel seems to be the hot commodity around global metal markets. As the world moves towards a cleaner, healthier future of transportation, we here at SMC would like to be a part of that transition. Through products such as our Nickel 200-201 series, we can help supply the growing demand for nickel and assist the globe in moving forward. For a complete list of specifications and pricing, please click here.